This recipe I have here on this page is without doubt within my top 3 of my favorite dinner recipes. 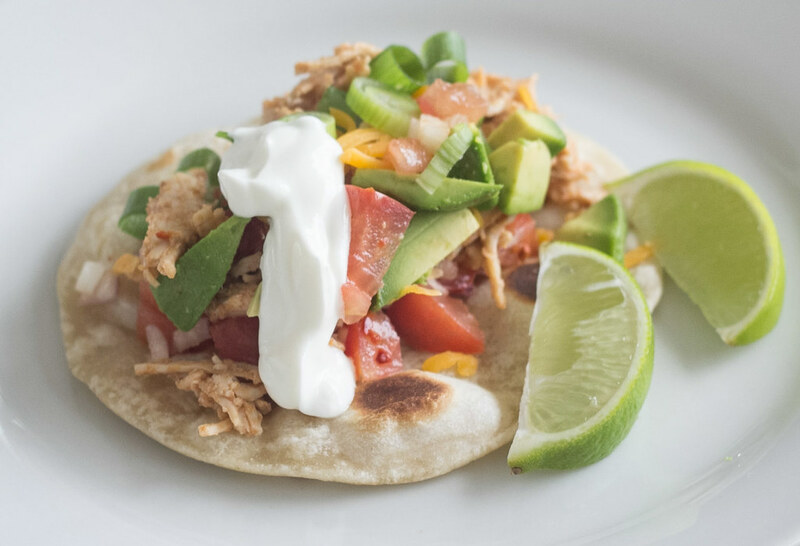 I know that some people think this sound odd, that a simple taco can be that high on my favorite-list. 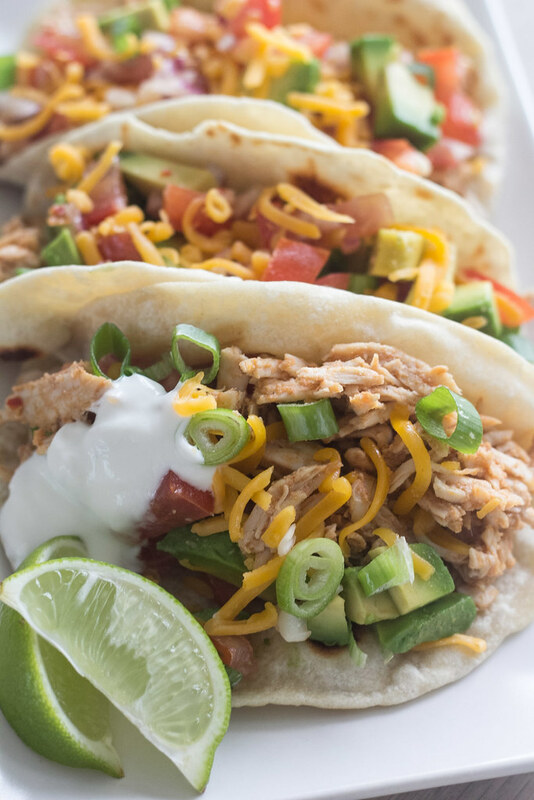 Nevertheless, these homemade tacos are just fantastic and they are just a hit in my kitchen. 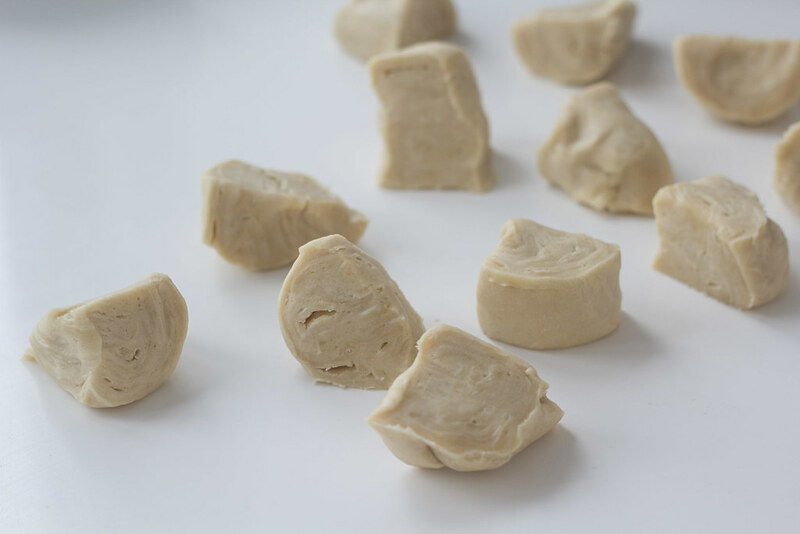 I think it is because they are quite simple to make and only contains a few ingredients that just goes perfectly together. 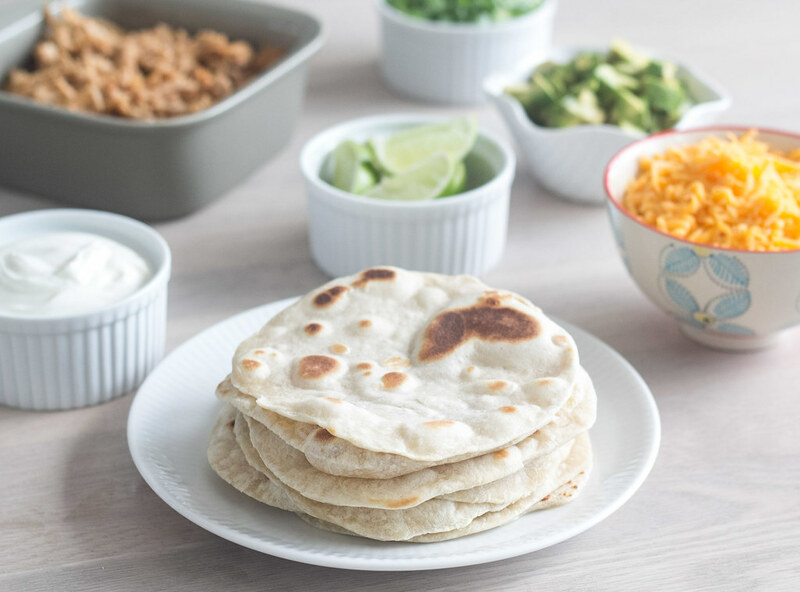 A traditional taco is just a very thin piece of bread, which is cooked on a frying pan, and then used as a wrap to eat all kinds of delicious vegetables and meat. 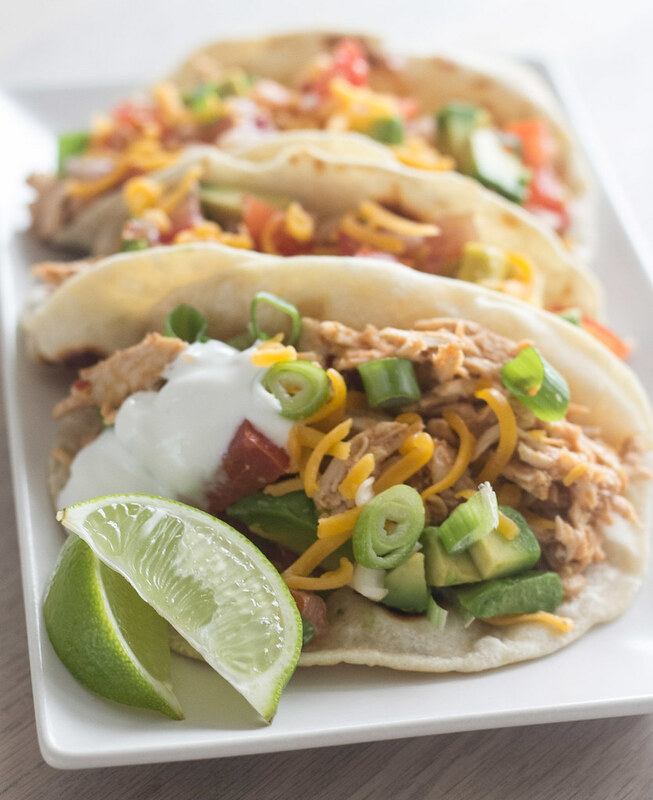 My personal favorite filling for these tacos are homemade pulled turkey, homemade pulled chicken, homemade tomato salsa, different types of vegetables like avocado, red onions, cucumber and corn, and of course lots of cheddar cheese, sour cream and lime wedges. 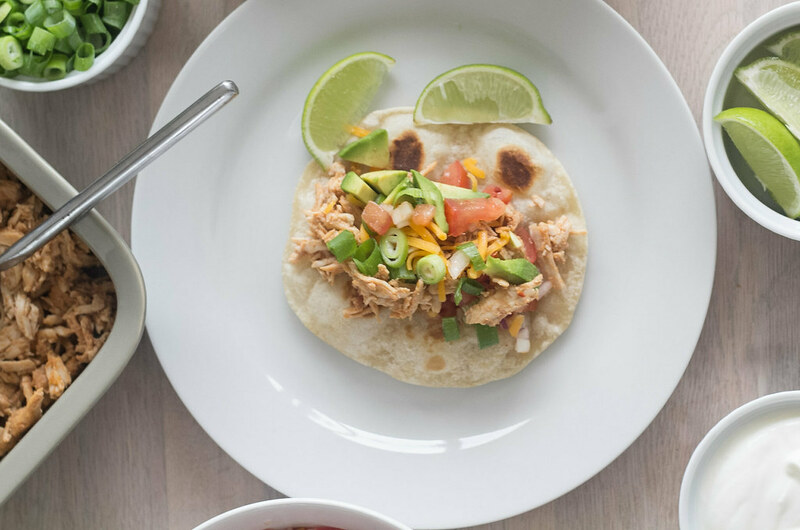 For the homemade pulled chicken and tomato salsa I can recommend my recipes which you can find here on my blog. Of course, it is completely up to you what kind of filling you decide to eat together with your taco bread – the above, is just my personal favorite. 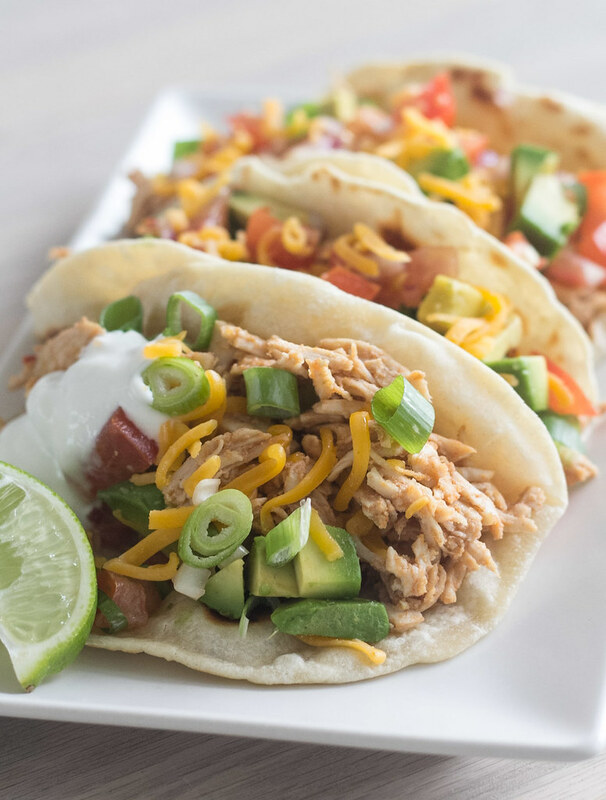 I would love to hear from you in the comment section below if you have, any tips and can recommend any great taco combination/filling. The taco bread is very easy to make. 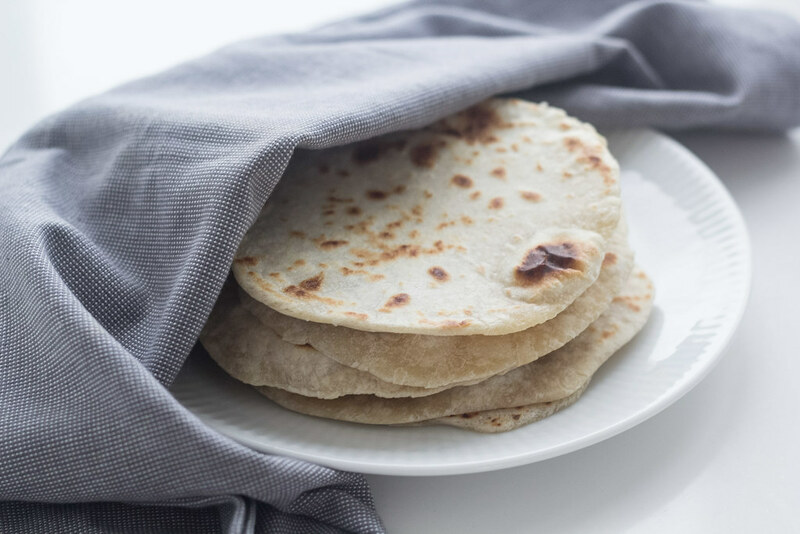 You simply just knead together the ingredients for the bread, roll the dough out and then fry the small and very thin sheets of bread on your frying pan. It is a good idea to have prepared the filling for the taco before make the taco bread. 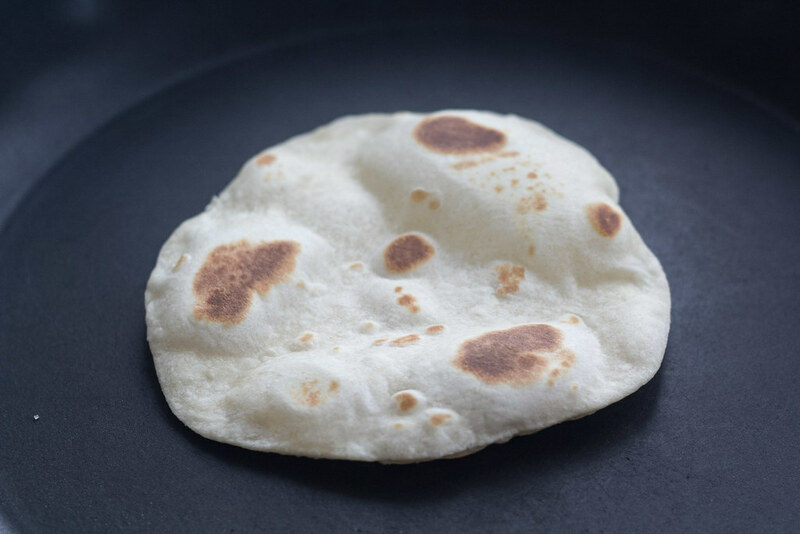 Once the bread is fried it is ready to be served. 1. 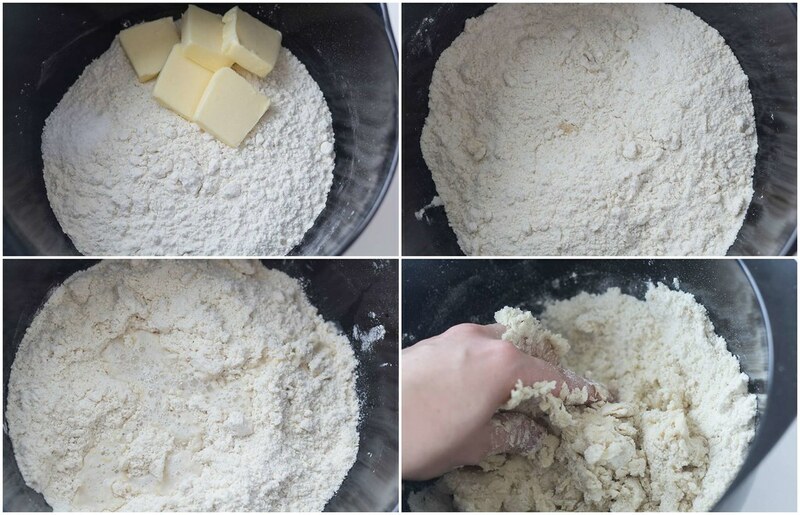 In a large bowl; use your finger to knead/crumble the all-purpose flour, soft butter and salt into a nice dough. 2. Step-wise add the water and knead the dough again. 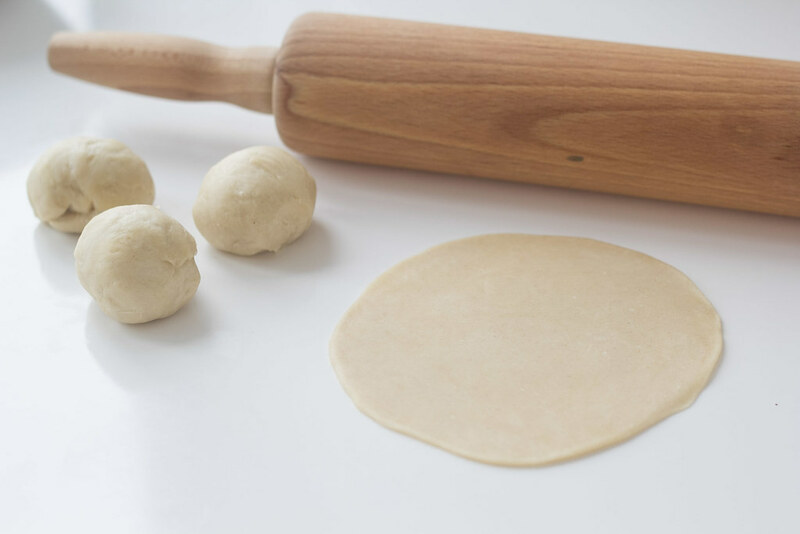 The dough should be a little sticky in the beginning. 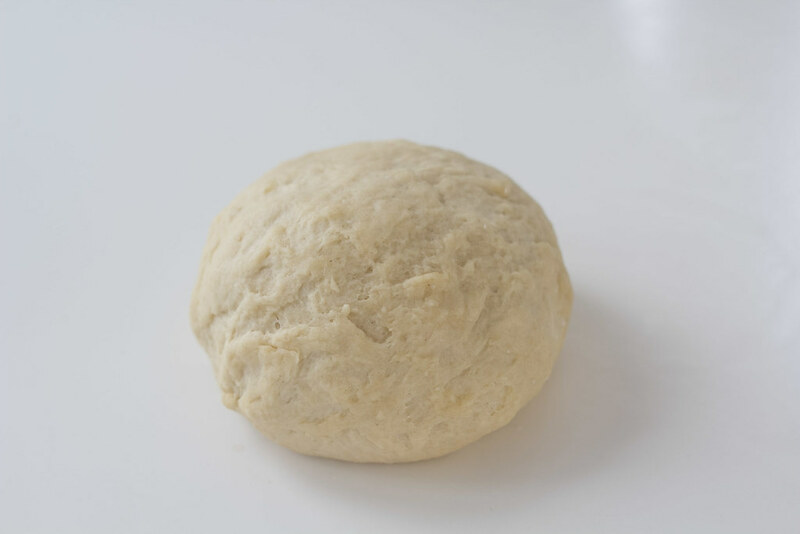 Continue kneading until the dough is nice and flexible. It is not certain that all the water should be used. 3. 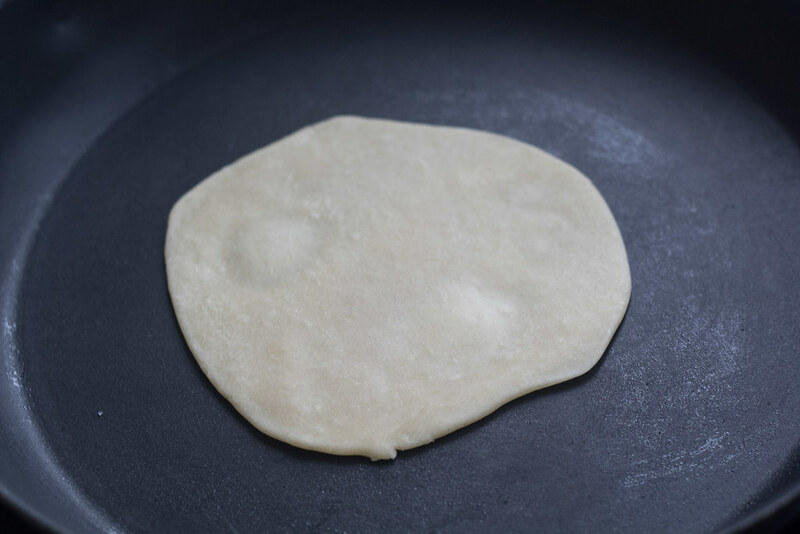 Set the dough aside for about 10-15 minutes before you continue rolling them into tacos. 5. 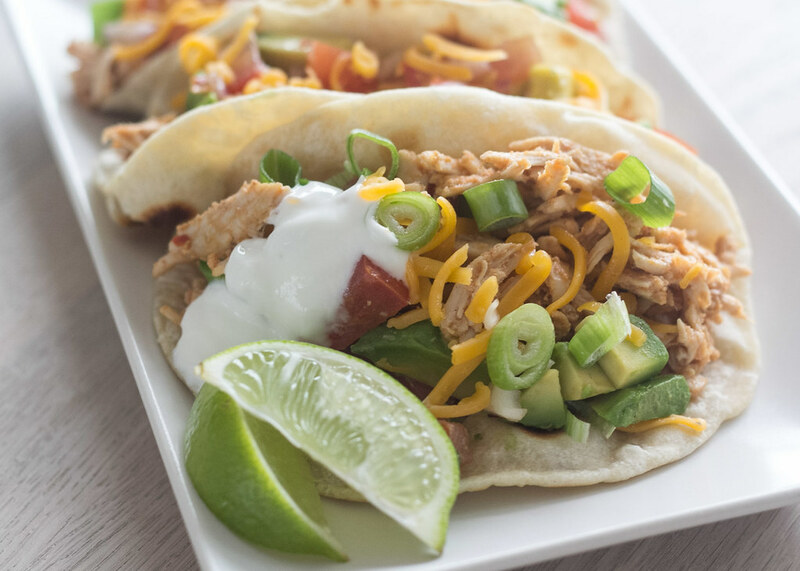 On medium heat: heat up a frying pan; fry the tacos for about 1 one minute on each side.